My favourite soup in ‪‎Byron‬ Bay at Kinoko. 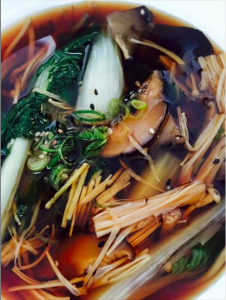 3 different types of mushrooms in a mushie broth with bok choy. My occasional treat when I come into The Bay from the hinterland. Yummeeeeee.